develop model leases which will enable the community sector to rise capital funding. The important relationship between local authorities and the third sector is both well-established but dynamic and changing. Most local authorities value the wide range of services and support that community organisations provide to their community. The ways that local authorities manage their property assets is of great importance to community organisations as many are accommodated in council owned buildings. A council’s planning and land use polices are of great significance as the voluntary and community sector can benefit from the Community Infrastructure Levy and s106 funding. Other council polices and strategies also have a great impact on community organisations, such the relief of business rates. Because different departments and services within the local authority are involved, there can be fragmentation and lack of consistency in polices around the third sector and Council assets. Pressure from national government and the challenging economic climate have driven local authorities to maximise the use of their assets. This has impacted on community organisation’s access to, and use of, council land and buildings. BuildingAssets can provide expert services to help local authorities to create a positive and mutually beneficial relationship with their third sector around community land and buildings. 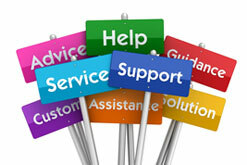 We can offer strategic support to local authorities.